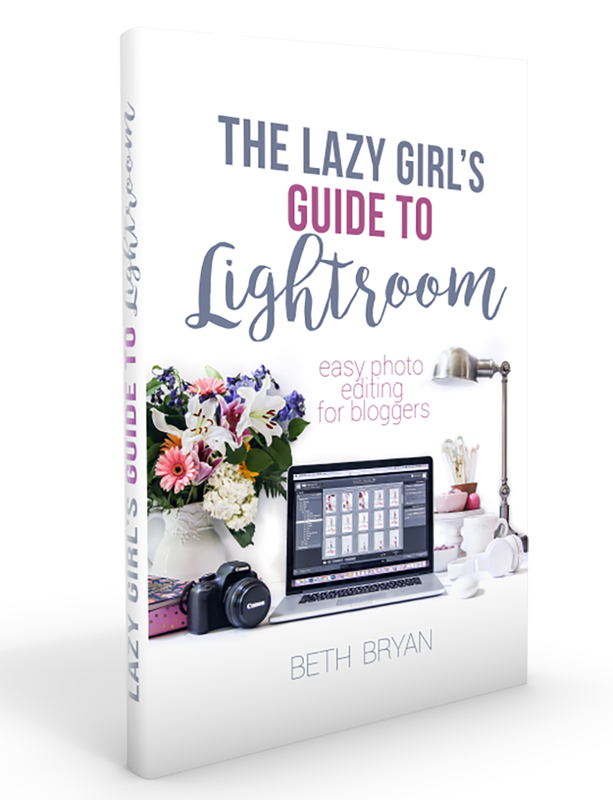 I’m so excited summertime is here again so we can get outside and soak up some Vitamin D the all-natural way. We have been taking full advantage of the outdoors this year before it gets too hot to move. How ’bout you? My backyard raised garden beds turned one year old this month and still holding up great. The cedar has weathered out a little bit, but otherwise they are fine. I’m planning on painting the back deck soon if the weather will hold out long enough for me to get it accomplished. It’s rained nearly every single day so these past few months. Not complaining, though. We need it after last year’s drought. I have planted quite a few new plants this year and it’s been nice not having to water them very often. 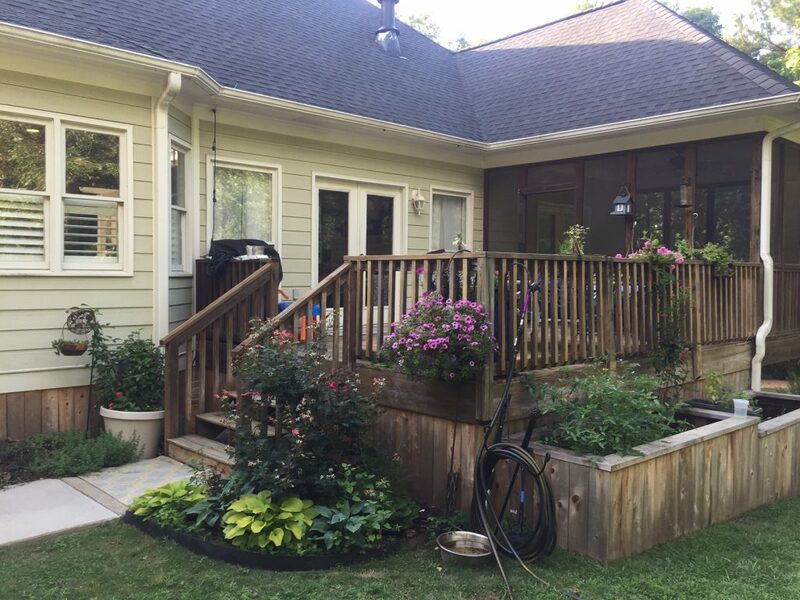 This Spring we planted three new hydrangea bushes, an ‘Incrediball’ hydrangea, two crepe myrtles, a Carolina jessamine and a butterfly bush. 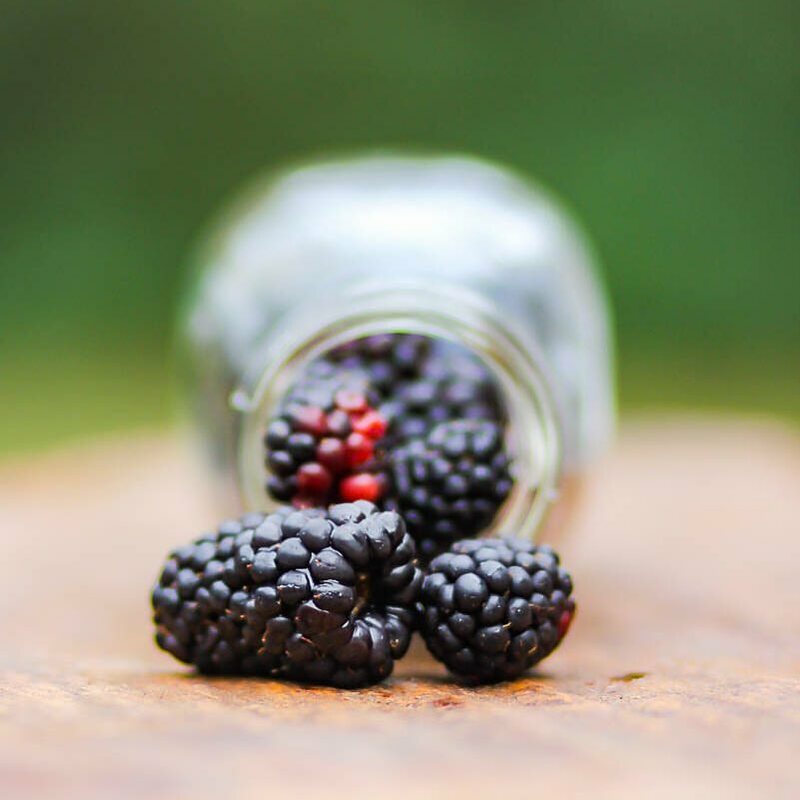 I also planted a bunch of veggies a while back and already have cherry tomatoes turning red, cucumbers growing behind their prickly leaves and fat blackberries dripping off the vines. 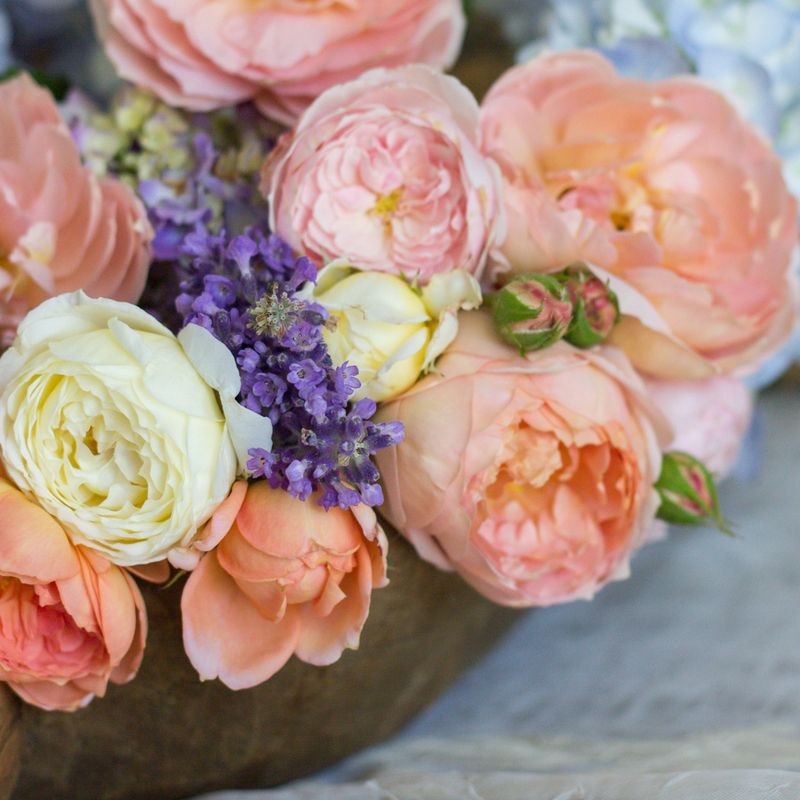 Back in May my David Austin roses gave an impressive showing with some incredible blooms. They turned two years old and are really starting to show off now. 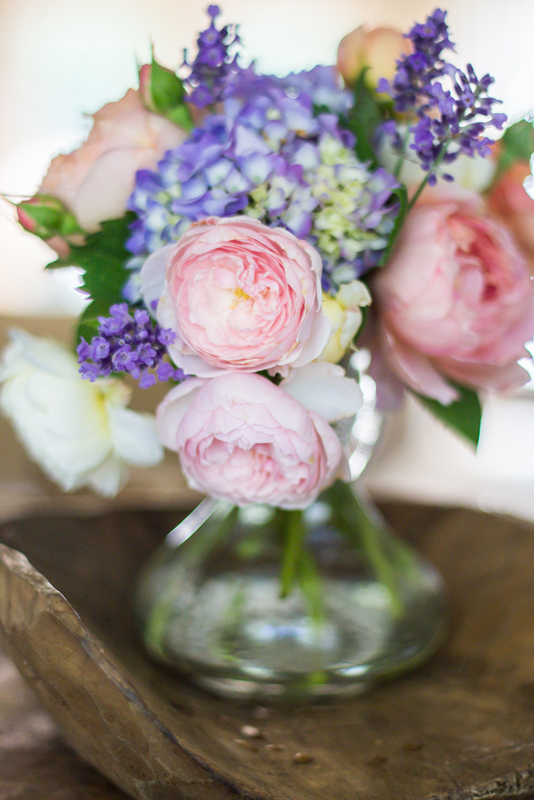 Here’s a bouquet of ‘Heritage’ David Austin roses, hydrangeas and lavender that I picked from my garden one day. Amazing, right? Here’s another bouquet I picked of ‘Carding Mill’, ‘Heritage’ and ‘Claire Austin’ varieties. Aren’t they just GORGEOUS!!!?? Oh man I love them so. I also have a big bunch of gladiolas that are blooming for the first time this year. 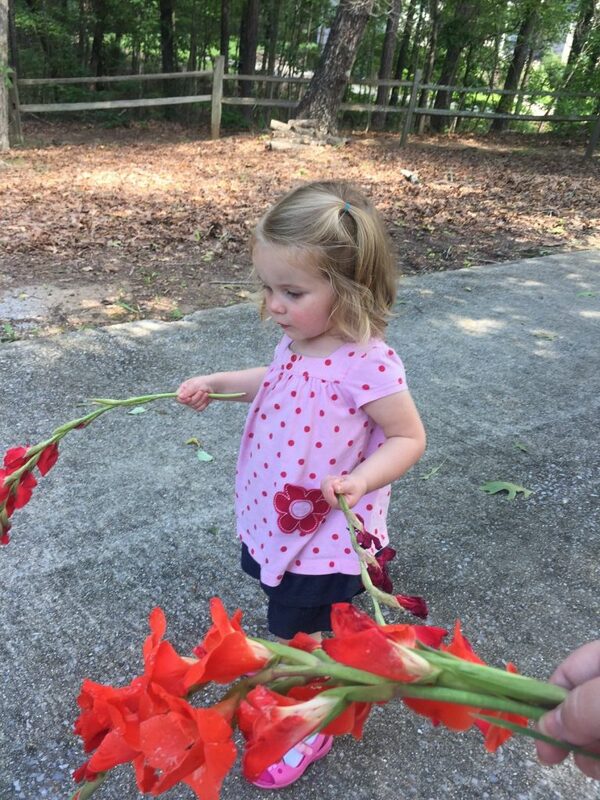 Caroline loves picking flowers to take to Grandma’s house, so we gathered these pretty red ones for her the other day and hand delivered them. I’m hoping to raise her to love gardening as much as her mama. She’s well on her way! 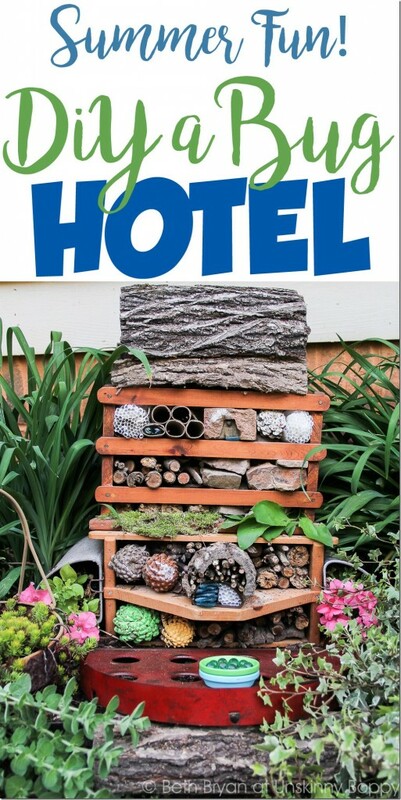 To keep the kids entertained this summer, I’ve rounded up a whole bunch of fun garden projects for us to try out. I thought they might interest you, too, so here you go! 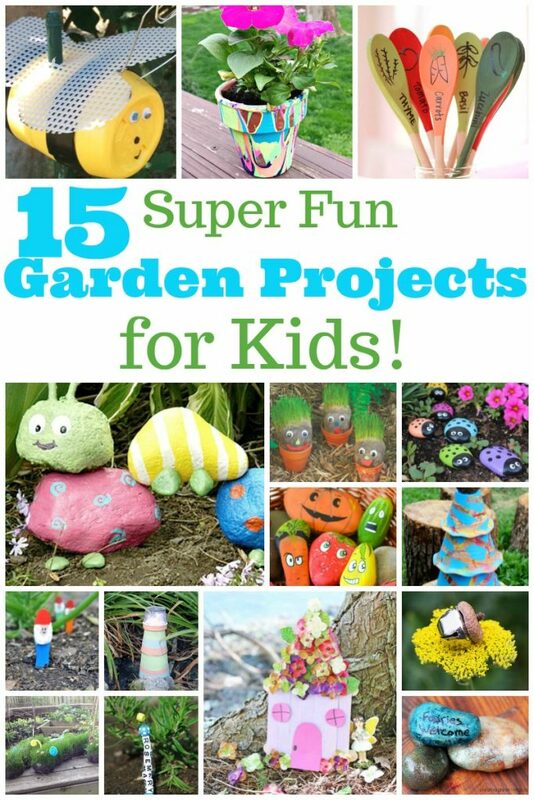 Let your garden and your little gardeners blossom with these Super Fun Garden Projects for Kids. Show them how to craft something adorable, paint something charming and make something fabulous that will brighten up your outdoor spaces. A sunny garden is a thing of beauty, but it becomes something even better when your kids add their own creative touches to it. So this summer, get outside and make some fun garden art with your littles. From garden markers and grass caterpillars, to garden gnomes and painted rocks, this collection has something for every kid in the garden! 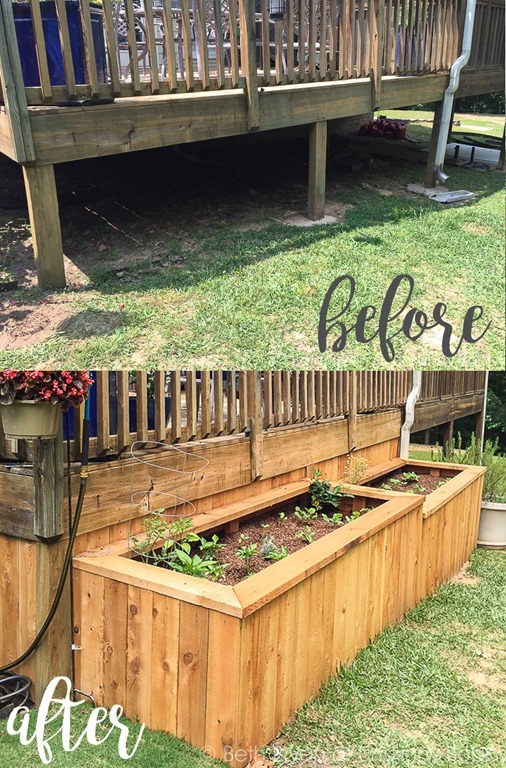 Or check out how we enclosed our back porch with raised garden beds!